From an important business meeting to a romantic meal-for-two, Central Helicopters provide a private flights service that suits your every need. Whatever the event, we can get you there. The versatility of a helicopter also allows us to structure each charter to suit our clients’ individual requirements with the ability to land at various sites including large hotels, small farms and all major airports and helipads. With our range of company-owned aircraft and air operator’s certificate (AOC, GB2345), we can provide transport for up to six passengers. Today’s business life is hectic enough, without the stress and hassle of negotiating the unpredictable traffic on our roads. So, why not arrive via a private flight, and stay fresh and relaxed, with time to spare. We can take on the planning of your travel itinerary, ensuring you can focus on business. If required, we can even provide an executive car to collect you from your home or office to drive you to your helicopter. With a range of aircraft available for business flights, a charter with Central Helicopters might not be as expensive as you think. If you are a professional photographer or a client looking for stunning aerial shots, Central Helicopters can take you to the skies in a range of helicopters to best suit every photographic project. The Robinson R44 can accommodate up to three passengers and is ideal when using larger equipment or for filming. If you require space for more passengers or have multiple cameras to carry, we can offer our Bell 206 Longranger, with the capacity to carry up to six passengers – ideal for aerial filming and TV work. All of our aircraft can be flown with the doors removed allowing crystal clear aerial images. Should you require photography but do not have your own equipment, we can also source experienced photographers or cameramen and provide you with an all-inclusive quote. Please note that we do not provide helicopters with nose-mounted cameras – we can only accommodate hand-held photography and filming equipment suitable for shots from within the aircraft cabin. For a quote, please contact us for more details. Horse racing, motorsport, golf... whatever your passion, we can fly you to many of the UK’s biggest sporting events. All you need to do is focus on the excitement of the event, and leave the rest to us. 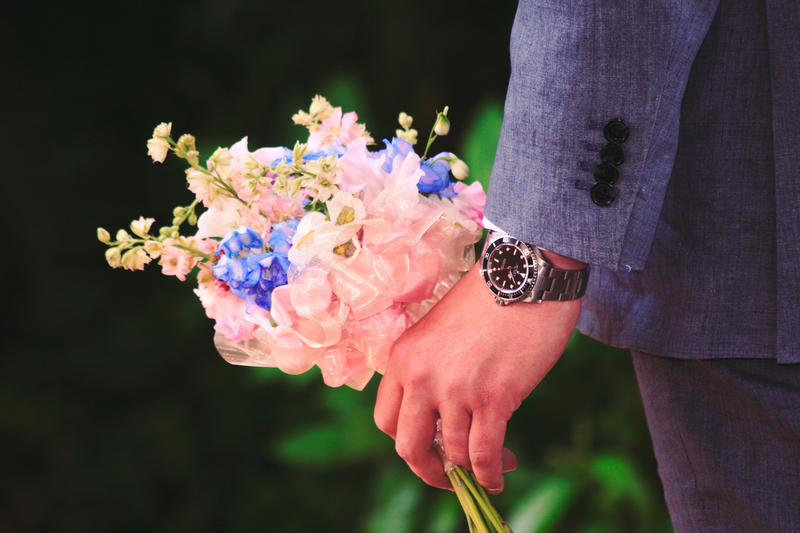 We can arrange collection from your door and take you to your chosen event. Central Helicopters has joined forces with selected local restaurants to offer a unique VIP dining experience. Our aircraft can carry up to six passengers, making heli-dining perfect for a romantic treat or even an important business lunch. 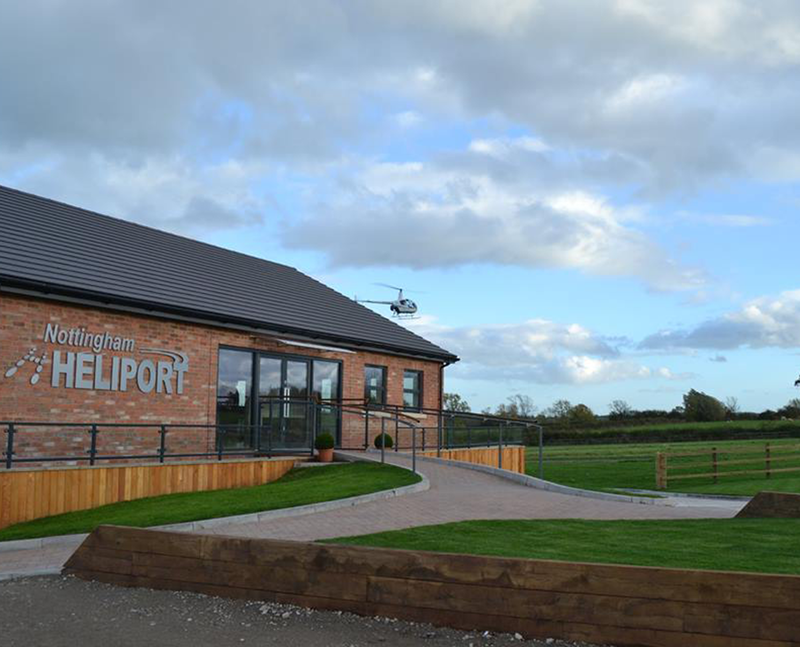 Your heli-dining experience begins with a complementary bottle of champagne or wine upon arrival at our Nottingham Heliport. 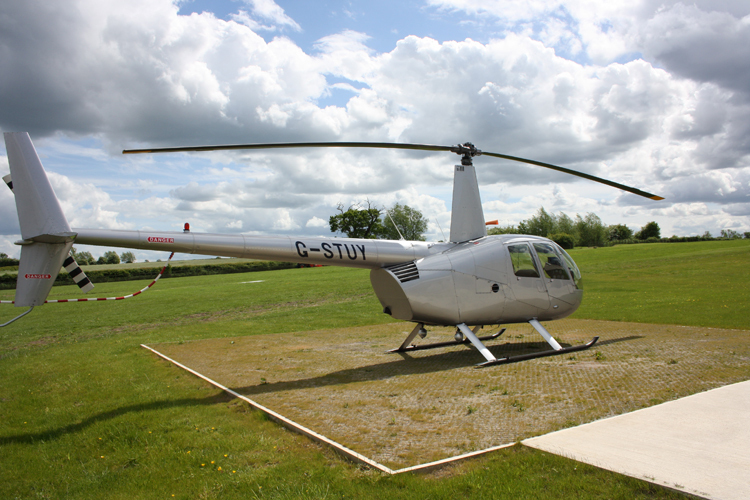 From there, you will be transported high above the East Midlands’ countryside to your chosen restaurant. After you have dined, your pilot will fly you back to Nottingham to complete this fantastic experience. Our heli-dining flights start from just £325 per person. Below is just an example of a suggested venue. For more tailor-made flights to alternative restaurants, please contact us for a quote. Please note, due to daylight restrictions, evening heli-dining flights can only take place during the summer months. Chequers at Woolsthorpe is a 17th century fine-dining country pub in the Vale of Belvoir, where the counties of Lincolnshire, Leicestershire and Nottinghamshire meet amidst rolling green hills and picture-postcard villages. Please note, meals are not included and are payable directly to the restaurant before your return flight. We can arrange your table reservation, please ask upon booking. Why not reward your staff or customers with a corporate flying day? Our private flights service includes a variety of different packages tailor-made to suit your needs. 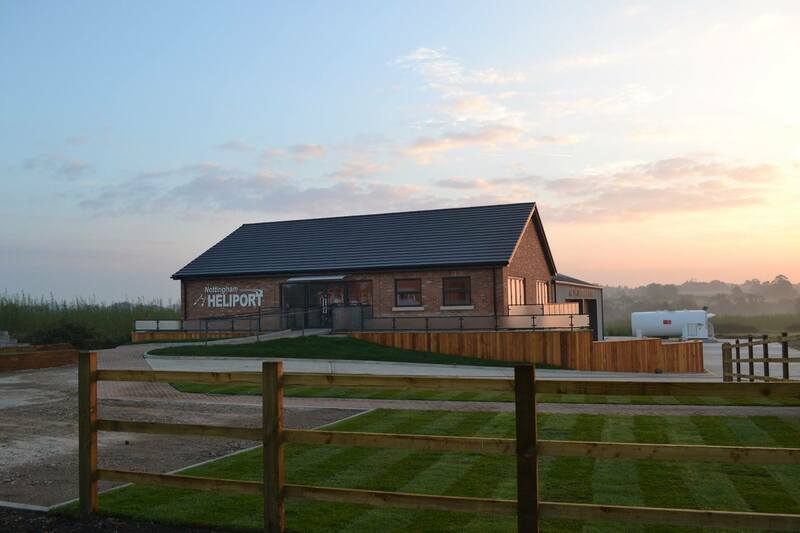 Come to our base at Nottingham Heliport and our instructors will allow your guests to take the controls of our training aircraft. We can devise games and challenges for your staff or clients and create a real fun-packed team-building experience. Flight lengths can be tailored to suit your own individual budget and requirements. Helicopter pleasure flights can be a unique addition to your corporate day. Not only can we operate pleasure flights from Nottingham Heliport but also our mobile fuel and fire-fighting equipment allows us to bring the flights to you. We have attended many corporate and private events at various venues and provided guests with an unforgettable experience that was the highlight of the day. Again, flight lengths and routes are all flexible to suit various budgets and requirements. If you have booked a day at a major sporting event, why not let Central Helicopters transport your guests to their big day in style using our helicopter shuttle service. We can set up a departure site at various locations, including hotels and small airfields, and provide you with a hassle-free, enjoyable journey. If you require further information on how we can make your corporate day unforgettable, please contact us to find out more about our private flights service.